Low profile Fluorescent Lamp 12vdc 13W ideal where headroom is at a premium in motorhomes, caravans, boats etc. 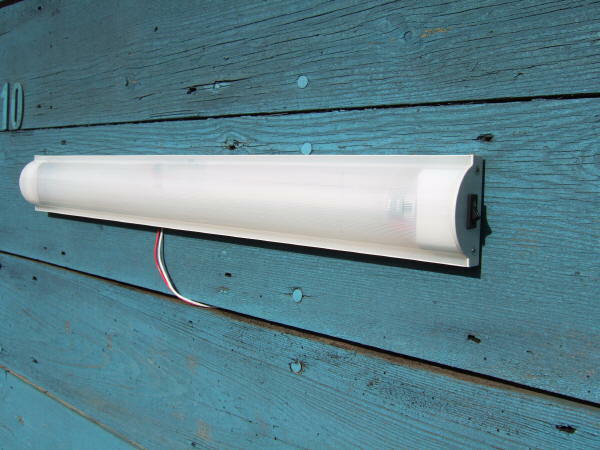 Light output is provided by one 13W 508mm tube (supplied). Replacement lamps are available. An on/off switch is located at one end of the lamp fitting, it has a fully reeded diffuser giving maximum light emission with reduced sideways glare.